Our human capital management clocks and terminals do more than ensure staff are in the right place at the right time. Capture valuable data and monitor trends, holiday requests, rotas and tardiness all from our RS Series range. 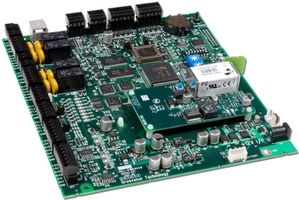 The CUSTOM RS 21 modular terminal offers integrators and system administrators a powerful, flexible and functional platform for a host of time and attendance and shop floor data collection applications. Flexibility is at the heart of the RS21 with plug-in modules providing reader hardware and technology tailored to the needs of the end-user. 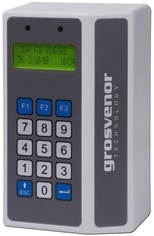 The CUSTOM RS 07 access control board is compatible with all RS Series clocks and terminals, offering the opportunity to integrate access control to your Grosvenor time and attendance solution. A compact terminal, the RS 09 offers a 2 x 20 character display, hard and soft function keys and a wide range of reader types including swipe, proximity and biometric. 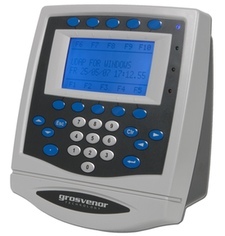 This makes it an excellent choice for a flexible and cost-effective time and attendance solution.